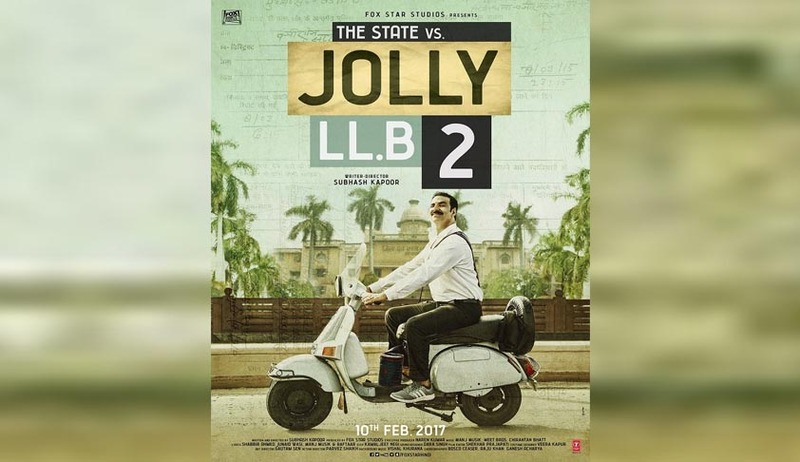 In a surprising development, a division bench of the Aurangabad bench of the Bombay High Court has held that prima facie there appears to be a case of contempt against the upcoming film Jolly LLB 2. The bench headed by Justice VM Kanade has ordered a three member committee to be formed for a review of the movie to examine whether a case of contempt can be made out against the movie. The committee will comprise of two Senior Counsels and one member of the society who is not in the legal profession. Previously, the bench had issued a notice to Fox Star Studios, producers of the upcoming film, directing them to file an affidavit in reply. In the meantime the bench decided to examine two trailers of the film that have already been released on social media and other media platforms. The bench was hearing a writ petition filed by Advocate Ajay Waghmare. This petition has now been ordered to be converted into a Public Interest Litigation. In his petition, Waghmare has sought LLB to be dropped from the main title of the film as the film itself is “a deliberate attempt to malign the judiciary”. However, the bench observed today that after reviewing the prequel to Jolly LLB 2, prima facie there seems to be a scandalizing element in the present movie. The three member committee will now submit a report on February 3 which is the next date of hearing. Lawyers appearing for both parties refused to answer any questions.